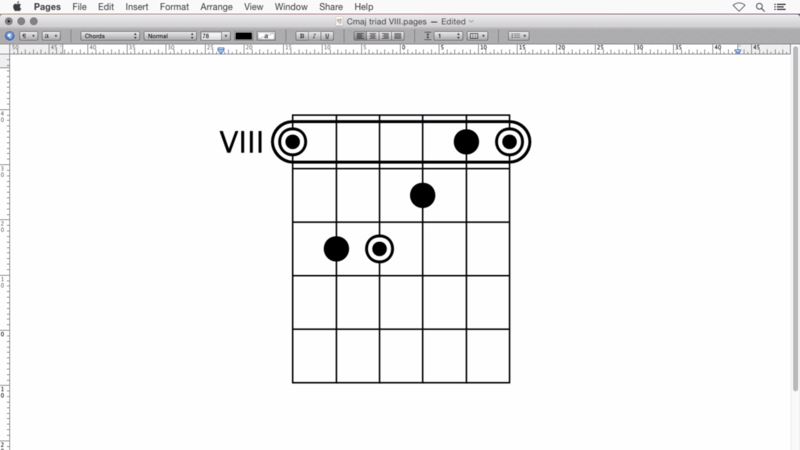 Creating a Cmaj barré chord diagram in the VIII. position with the font Chords Normal. to add root notes move the cursor with the arrow keys and place it to the right of the corresponding strings. Type period. move the cursor with the arrow keys to the low E string. place it to the right of the string.